Need a quick activity? 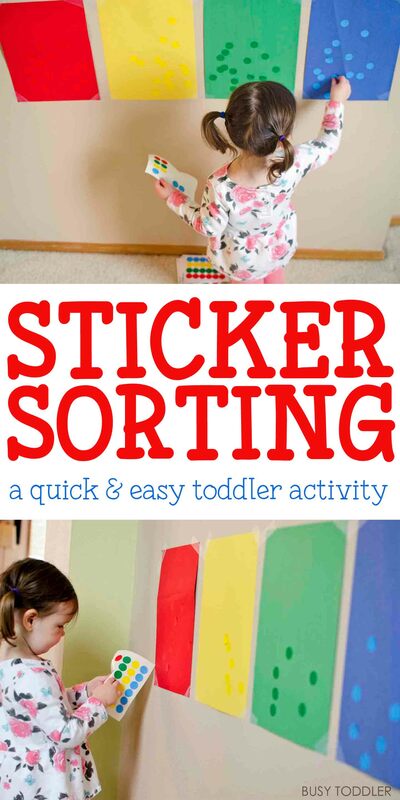 Try this fun sticker sorting activity. 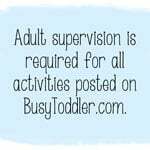 I’m always looking for simple and engaging learning activities for my 24 month old. This sticker sorting activity was absolutely perfect for her! I have fallen massively in love with “dot stickers” lately and I’m using them all over the place (in this line up activity and this name recognition activity). They are rapidly becoming one of my favorite / go-to activity supplies (I might need to add them to my must-have supply list). Setting up this sticker sorting activity was so easy! 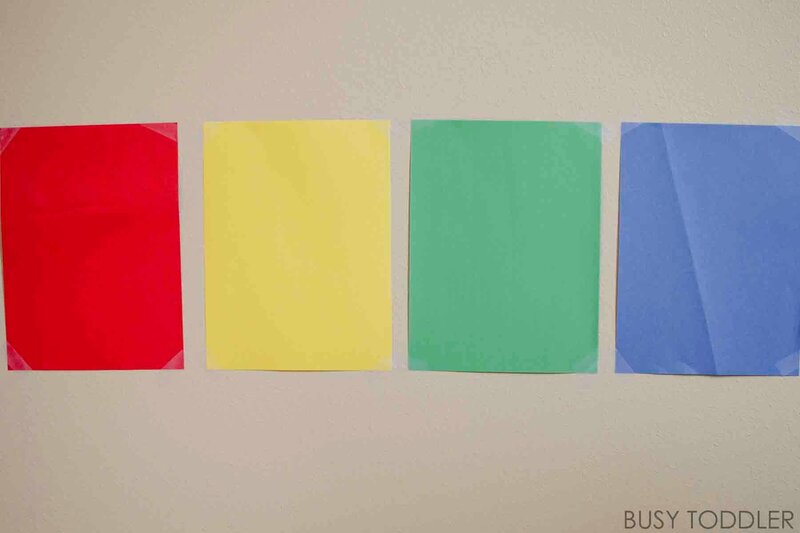 I grabbed four pieces of construction paper – each coordinating to a sticker color. I taped the paper to our wall, handed my daughter a page of stickers and away we went! 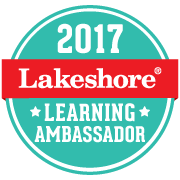 My daughter loved this activity! She was so excited to play this activity and couldn’t wait to get started. 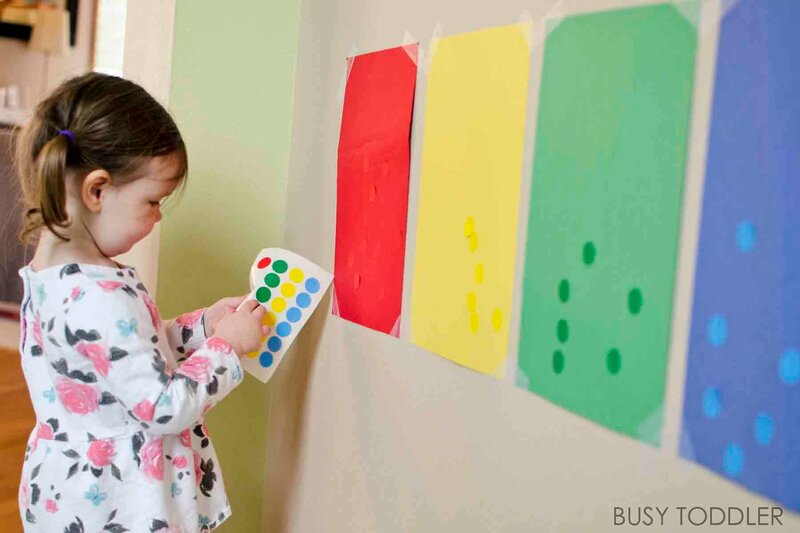 She loved pulling the stickers off the page and adding them to her color sorting wall. Of course she did way more than just one sheet. 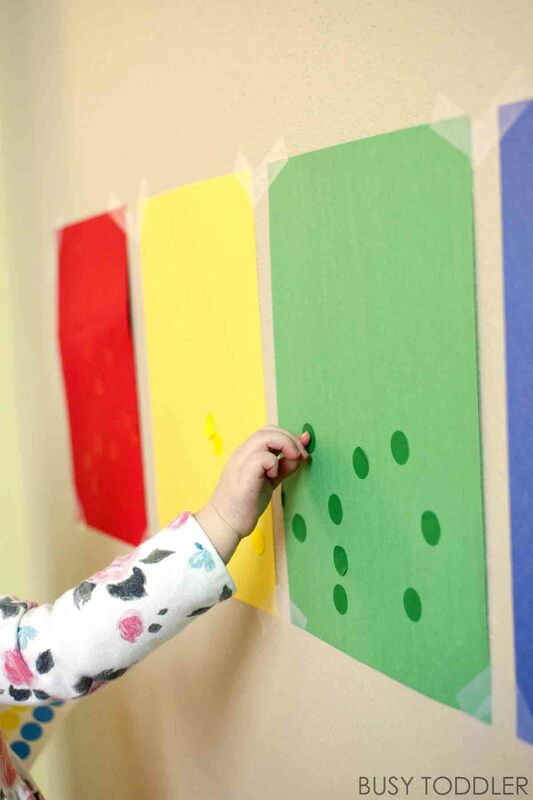 She went through three sheets and played at this wall for more than 15 minutes, which is great for her! What is she learning here? At 24 months old, my daughter is just starting to be able to do more “learning based” activities as opposed to only sensory based activities or busy boxes. The power of sorting activities! 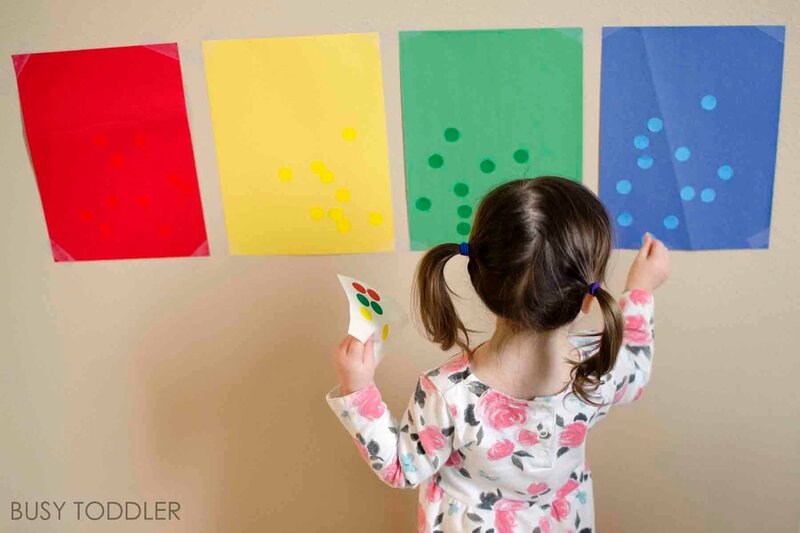 Sorting activities are a great place to start at with young toddlers – it’s the first math concept most kids can grasp. 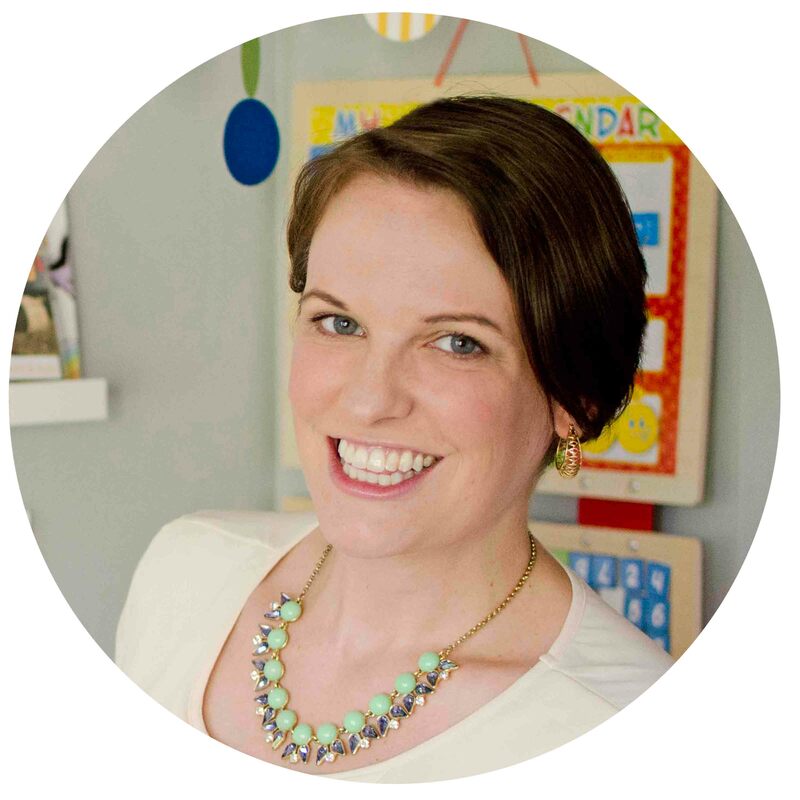 Sorting is a complex skill that asks children to identify similar characteristic in a group of objects, make decisions, and analyze data. Yes, all that in just a simple sort! 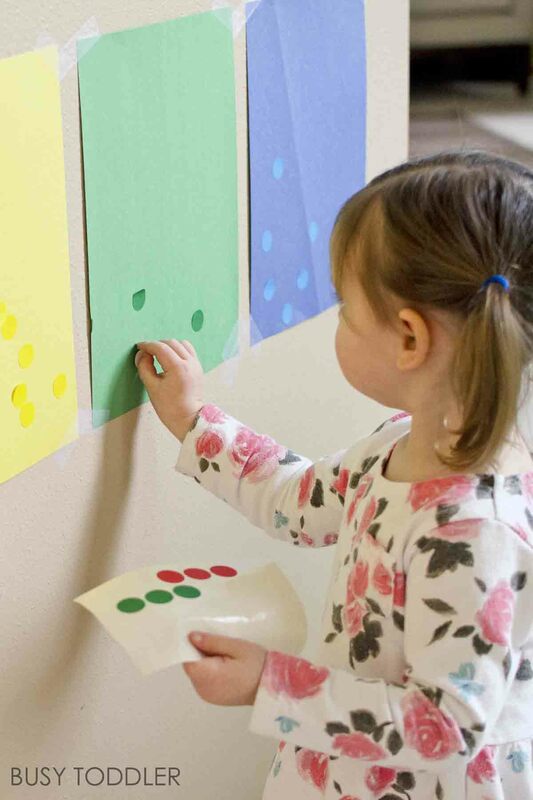 An activity like this packs in so much learning for toddlers. Even my 3.5 year old son couldn’t wait to play this sticker sorting activity – it was just so inviting. 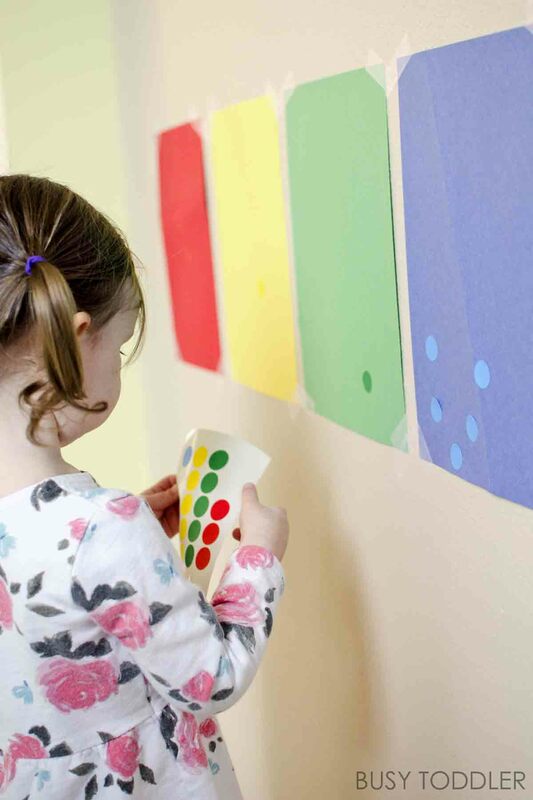 This sticker sorting activity lived on the wall of my house for about a week and was a great quick project to play when my kids needed something different to do. It definitely helped pass the time and got us to nap time many days! 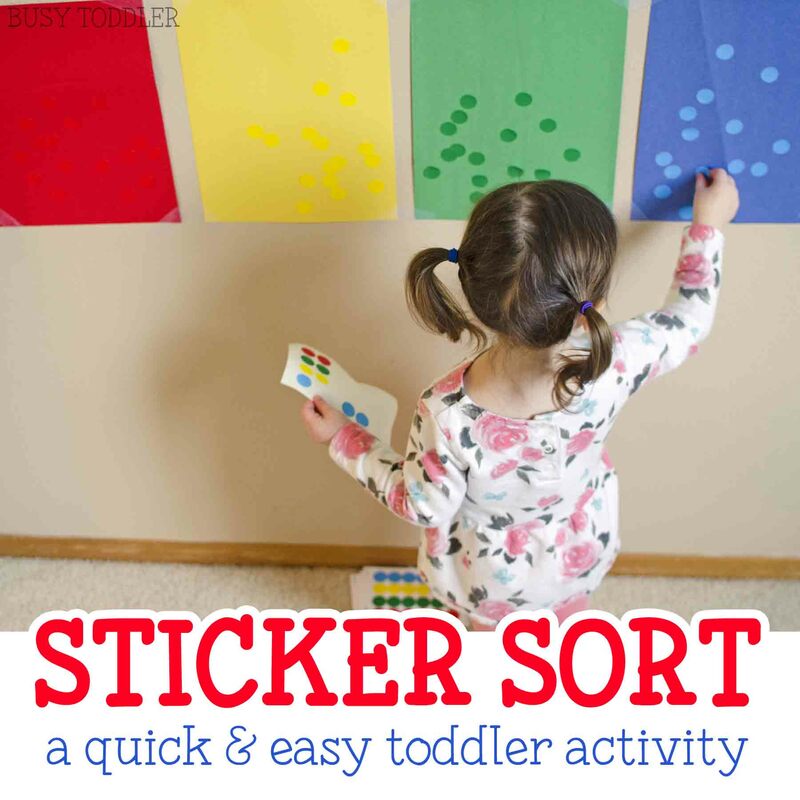 Will you try this sticker sorting activity with your toddler?